Faurecia, one of the largest automotive interior-parts manufacturers in the world, is boasting about having developed flat-seam stitching for customizable, high-end automotive seating – done entirely by machine. Flat-seam stitching offers greater stylistic freedom during the design process: seats can curve in ways never before seen, without stitching that would detract from cushion comfort. Four-thread flat-seam stitching also allows for a myriad of color combinations, offering added options for a customized look. Suitable for both fabric and vinyl, this latest innovation was made possible by Faurecia’s specially developed stitching machinery. What do you think? 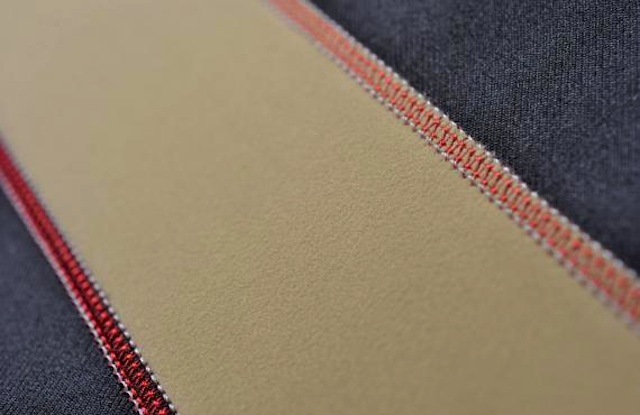 Let’s have a round-table discussion on Faurecia’s flat-seam stitching. Take a look the following examples posted on the company’s website and tell us what you think in the comments section below. Great Technology, this really “pops” and is very aesthetically pleasing to the eye. The only drawback I see is there is no way for the local trimmer to duplicate this if it becomes something clients begin to request. But from a production standpoint, its good to see the manufacturers putting more emphasis on the aesthetics of vehicle interior design. Good point Dane. I suppose the closest that shops can get to the look of a flat-seam stitch is hand lacing ( like in this video: http://bit.ly/11gkMwP ), but that still doesn’t look exactly the same and is very time consuming. Someone is going to have to explain that statement to me. 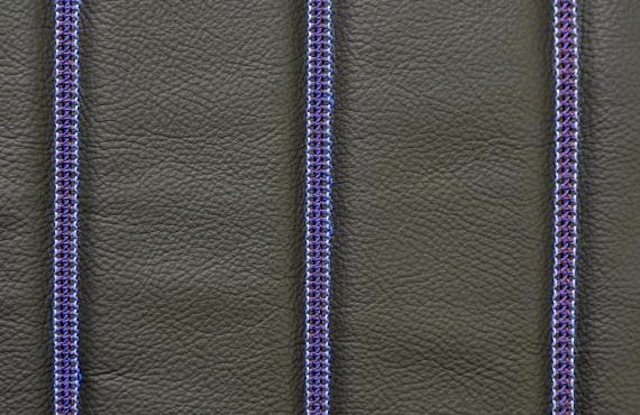 How does that stitch allow seats to curve in ways never before seen? I love that new stitch… I want to know more about the machines that produce that kind of look…. As Nadeem says we could replicate this stitch by hand-sewing a lace or thread crossing it through the other machine-sewed stitches…but it is time-consuming though! The machine could be a kind of ‘overlocking or serger sewing machine’. 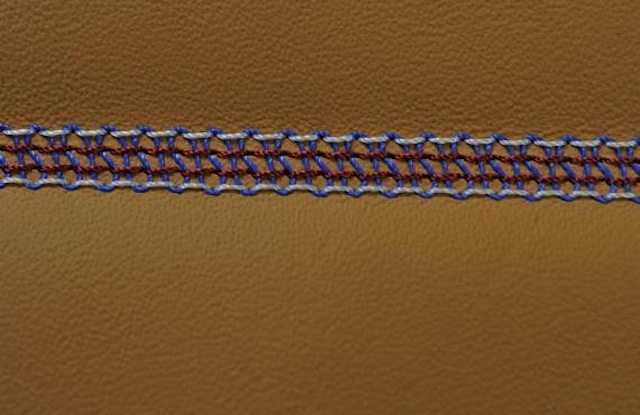 IMHO I agree with Nadeem…it is only a nice ‘new stitch look’like the other traditionals that fulfill the same purpose. In former statement my last opinion is referred to Nassem question How does that stitch allow seats to curve in ways never before seen? …I think they’re exaggerating unless I see a demonstration. I’m the ” owner” of this technology. I made the development of this technology and there is a Faurecia patent. On this machine, we have for needles and a spader. In this case, we can have 5 different colors of thread on top.I made a lot of samples and complet seat with Faurecia designer’s team. The results are great ! You will be able to see beautiful seats with this technology and also in the Trim Wall at the IAA Auto show of Frankfurt in Germany starting september 10th. I would like to know more about this technology. Thanks for the information. It would be pretty intereting to watch and admire these new designs applied on automotive upholstery! Retired… I Would Want To See This Stitch After Its A Few Years Old. I Usually Wouldnt Do Any Work If I Wouldnt Wont the Product Or Material Or Stitch In My Own Personel Auto. Look At How The Craftsmanship Of The Automobile Repair Has Changed. Cut And Sew Carpet Dosent Exsist Any Longer Cut And Sew Seatcovers Are On There Way Out And Now Your Own Stitching Isnt Any Good. May As Well Just Hire Someone Else Just To Do The Work And Manage Manage Manage. I thought this was so cool. So I was able to duplicate this… I am new to The Hog Ring and I was curious how to post on the Unique Pleat Designs discussion as I could not post on it. How can I upload a picture here to show it? Hi Ryan. You can either provide a link to your photo here in the comments section, or join our Auto Upholstery Forum where you can post photos directly to the site. Looking forward to seeing your work! Thank you, I am registered now and I just posted a Topic called Unique Stitch Designs, I have quite a few more and can’t figure out how to load more up. This stitch looks like they are using a serger. Nothing new in the sewing community. But I have never seen a commerial serger. Looks like a serger did it to me. Nothing new. Maybe in the auto industry, but flat feld seals have been the norm in activewear for as long as I’ve been old enough to pay attention. I’d love to see pics of actual seats instead of just close ups on seams.